Harwell, Oxfordshire, UK, 23rd August, 2016. 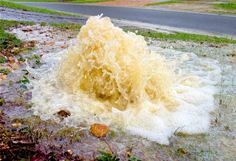 Rezatec, a fast-growing and pioneering UK-based geospatial data analytics company, is reaching new global markets, commencing an innovative project with Australian water and sewerage utility, Unitywater. This project aims to bring water-saving analysis and insight across the globe to help Unitywater reduce water loss, improve operational efficiency and reduce below ground asset management costs. As part of this approach, Unitywater is now trialling Rezatec’s pipeline leakage detection satellite data analytics service on a 200km2 area of the Sunshine Coast combining both rural and urban areas. The first phase of the project focuses on a retrospective analysis of the last 12 months’ actual leakage data in order to calibrate with Rezatec’s analytical techniques. Following a successful first phase, the second phase will be to accurately monitor and predict future pipeline leaks in a live trial.